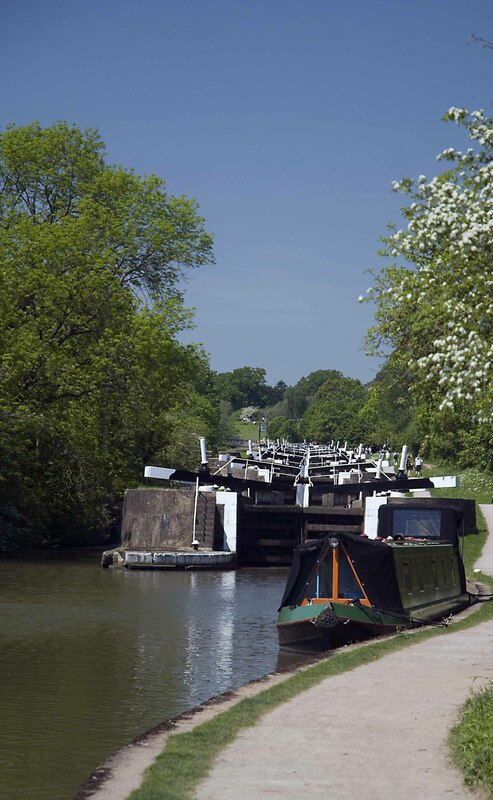 The Hatton Locks are a flight of 21 locks on the Grand Union Canal in Hatton, Warwickshire, UK. The flight spans less than 2 miles (3.2 km) of canal, and has a total rise of 45 metres (148 ft). The flight was opened in December 1799 on the Warwick and Birmingham Canal. 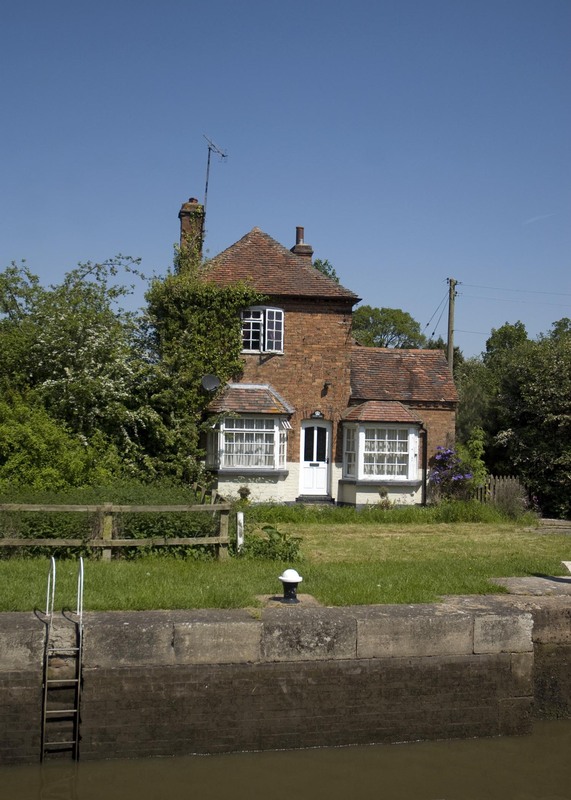 In 1929, the canal was renamed as the Grand Union Canal (on unification of a number of operators) and the decision was made to widen the Hatton stretch. In order to accommodate traders with heavy cargos of coal, sugar, tea and spices up the flight, the locks were widened to 14 feet (4.3 m) – allowing navigation by industrial boats or two single narrowboats. The widening was completed in the mid-1930s using a workforce of 1,000, and the revolutionary concrete lock system was opened by Prince George, Duke of Kent. The flight was known as the “stairway to heaven” due to the difficulty of the flight and the subsequent easier journey to Camp Hill where the workmen would receive their wages. What brilliant minds to have discovered such a system of raising and lowering boats from one body of water to another…it’s always fascinated me. Very nice photos, Adrian. Thanks Scott, and you’re right great engineering. 21 locks you say? that would take up your day on the canal. The middle part (top photo) is called The Thick as once you start that stretch you have to finish as there is no room to stop! Very hard work! But at least there is a great pub at the top. Some Pub owner knows all about location location location. Love the perspective of this shot! Some more really nice shots Adrian, and more reasons why I must visit one day. Thanks, let me know if you plan a visit.